OnePlus is all about first-class smartphones and a loyal and honest community. Can the OnePlus 6 meet the community’s expectations of a top smartphone while attracting new fans? Following on from our first hands-on with the OnePlus 6, we've now completed our final in-depth review. OnePlus was able to install a larger display in a body that's almost the same size as the OnePlus 5T. Instead of 6 inches, there is now a 6.28-inch Full Optic AMOLED panel. The increase in the display diagonal also means it has better resolution. It has 1080 x 2280 pixel resolution, which comes to 402 ppi. That's not very outstanding, as even the Honor 10 offers more in this department, but in everyday life you will not see any differences. The controversial notch in the OnePlus 6 can be easily hidden in the settings. This function had initially been planned for a software update after the official launch, but notch-haters will be pleased that you'll have the option to do this straight out of the box. So, how did the display do in our test? Pretty good! Even if the OnePlus 6 received a blue cast from our measuring device, this isn't a problem. In the settings there are four preconfigured screen calibrations, as well as a custom setting, but this is kept relatively simple, because you can use the slider to switch between cold and warm colors. OnePlus has taken inspiration from Apple's iOS for the iPhone X for gestures. If you just swipe from the bottom up, you can get back to the homescreen easily. If you swipe from the bottom right or bottom left up, you take a step backwards. You can get to the task-switcher with a swipe from the bottom center to the top, just don't let go too soon. It may just be a matter of getting used to it, because my colleague already uses the gesture control with the beta software for the OnePlus 5T and doesn't want to miss it, but up until this point, I'm still triggering too many wrong actions when scrolling in texts, websites or WhatsApp. At the beginning you always have to remember that the swipe gestures are used and you should not let yourself get frustrated, as you'll get used to the gesture navigation over time. Alternatively, you can still go back to the usual navigation buttons. OnePlus knows how to optimize hardware and software so much that the user always has a responsive and fluid smartphone in their hands. In terms of hardware, the OnePlus 6 is packing a Qualcomm Snapdragon 845, with either 6 or 8 GB of LPDDR4X RAM and UFS 2.1 memory. Depending on the model, there's either 64, 128 or 256 GB of internal memory. It's no wonder that the OnePlus 6 is one of the fastest smartphones you can buy in our benchmarks. But compared to the Sony Xperia XZ2, which is equipped with only 4 GB of RAM and otherwise technically similar equipped, the OnePlus 6 falls behind. You won't notice any performance differences between the smartphones in the benchmark table. OnePlus uses more RAM to create more apps, which are active in the background. It's more important how quickly the maximum data transfer rate is, both upstream and downstream. The OnePlus 6 supports speeds of up to 1 GB/s. With respect to downloads, LTE Cat 16 is supported and used for uploads, and LTE Cat 13 is also supported. It's fast if your carrier provides you with these speeds, and there is a noticeable difference compared to other smartphones. All the other devices offer download speeds of up to 1.2 GB, thanks to the support of LTE Cat 18. Of course we're nit-picking here - we have to consider that the top smartphones from Samsung, Sony and Huawei are more expensive. The battery with 3.300 mAh provides good conditions for a running time between one and with some discipline even two days But OnePlus' rapid charging technology is still extremely fast. Within 30 minutes the battery is back to 60 percent and in less than 90 minutes the battery is fully charged. Only one thing is a pity when it comes to battery and charging technology in the OnePlus 6: why switch to glass on the back when you don't use it to install wireless charging as well? OnePlus will probably have to wait until a wireless rapid charging technology that also corresponds to the slogan "The Speed you need" is ready for series production in the BBK Group. If you're looking for a fast Android smartphone that won't let you down on the performance side, offers good battery life and, in case of a disaster, charges fast, then the OnePlus 6 is definitely the perfect smartphone. But if you are an ambitious amateur photographer who needs the best smartphone camera with the highest photo and video quality, then the OnePlus 6 is not the right camera for you. Seen in this way, OnePlus addresses its own community with the Six series, which once again needs one of the fastest smartphones on the market and goes by the slogan "The Speed you Need" above everything else. Don't misunderstand, you can grab the OnePlus 6 without hesitation and it won't disappoint you. The camera has improved compared to its predecessors, but one cannot attest to the OnePlus 6 being a huge step forward in terms of quality and features. 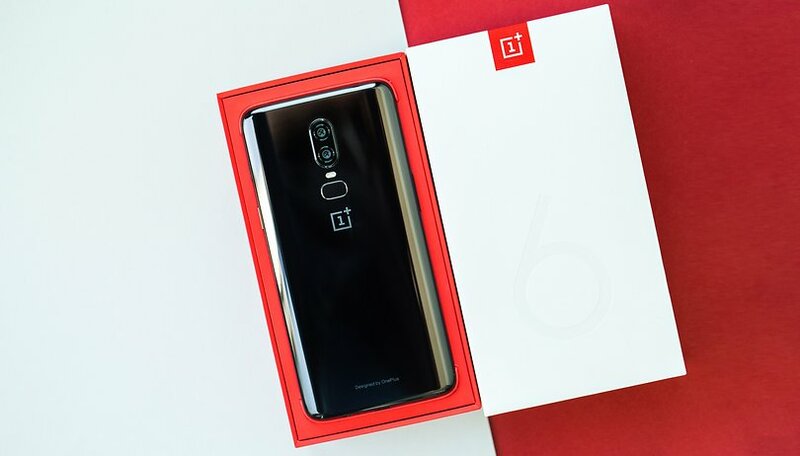 It's not the fault of the manufacturer itself, but simply the fact that the competition has clearly caught up in recent months and that pure performance no longer has the same traction in 2018 as in the days of a OnePlus One. I am absolutely gutter buy the problems of OnePlus 3T that does not work with Wi-Fi at all or very very very poor me and the same thing happens with the network connection and the charge very quickly and also discharge very quickly. After having one plus two and one plus 3 and the waste of time of the 3Y I don't trust them anymore. ​​If someone plans to buy this phone through the official website www.oneplus.com, I provide a link to the accessory voucher worth 20 euros. Just use the link below and click on the Redeem button - the voucher will be added to your account. I think OP doesn't have a long list of new stuff to convince people who wants to upgrade their phone from 5 to 6. This is 2018 and still there is no wireless charging and IP68 rating. What's the point having a glass back if OP is not getting wireless charging technology on board? This new iteration is hardly an upgrade from the previous installment. One Plus should change its motto to "Settle for Less" as the price has only increased while the features remain virtually unchanged. And the surprises will come. The slap dash engineers of One Plus always ensure multiple SNAFUs to come. Ho hum. Another glass backed copycat without innovation and a history of terrible engineering and customer mistreatment. Maybe I'm getting old...but faster, sleeker, colorful & stylish just isn't cutting it anymore. The handsets of the last few generations, given what the majority of people are using them for, are "good enough". Smartphone makers, need to "take it up a notch" (no pun about the notch intended), if they want my hard earned money. Blowing it on 600-1100 dollar phones, that are basically just faster versions of the older ones, ain't cuttin' it. Why in God's name would you have a glass back phone without wireless, makes no sense. 529.00 is a great price but no new innovation's whatsoever. No micro s/d support and no ip rating. That may not matter to some but for me it does. Still the price is very good! carl pei actually addressed this issue today. he stated, "who gave anyone the impression that our phones are anything but a profit machine? if we give you wireless charging now, you'll just ask for something on the 6T. you'll get your wireless charging when i damn well please, minions." Yeah, why buy the 6, when the 6T will be the better phone anyway, PLUS! A NEW feature!!! a slightly HIGHER price LOL.